I am obsessed. These animals look so cool and prehistoric. 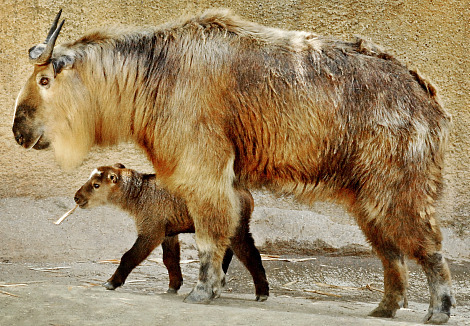 The Sichuan takin is a sub-species of takin, and for those of you(like, until recently, me) who don’t know what a takin is, a takin is a goat-antelope. These large lumbering creatures live in large herds and can even stand on their back legs to reach high leaves. Don’t let the description of ‘goat-antelope’ fool you, these things are huge. 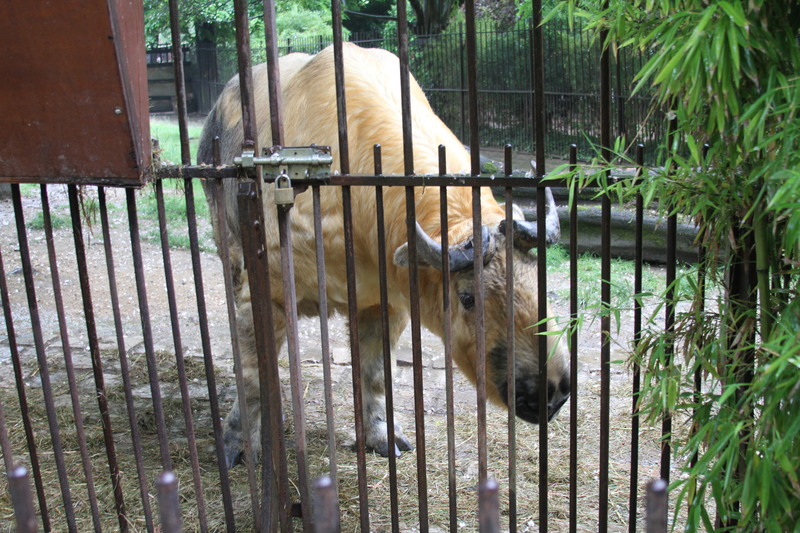 I had the pleasure of meeting a very handsome takin at Le Menagerié in Paris just the other day and I would have guessed it to be a buffalo of sorts. Yet, despite their large size they can move with agility up and down the mountains to their valley food sources in the winter time. They have even been seen to stand on their back legs, balancing with their front hooves on trees to reach leaves higher up. 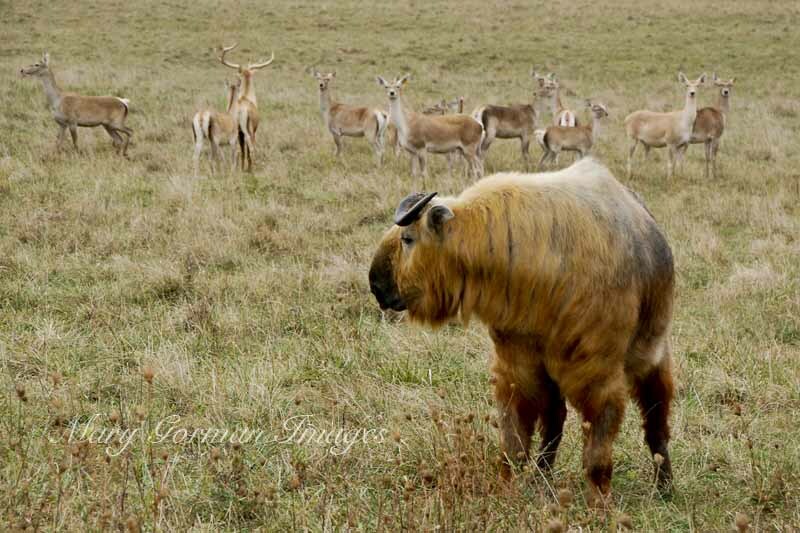 The takin does not have skin glands, yet their skin still excretes an oil to help protect it from the rain and fog. This oil also has a very strong smell and the takin will leave streaks of it on trees when it rubs. 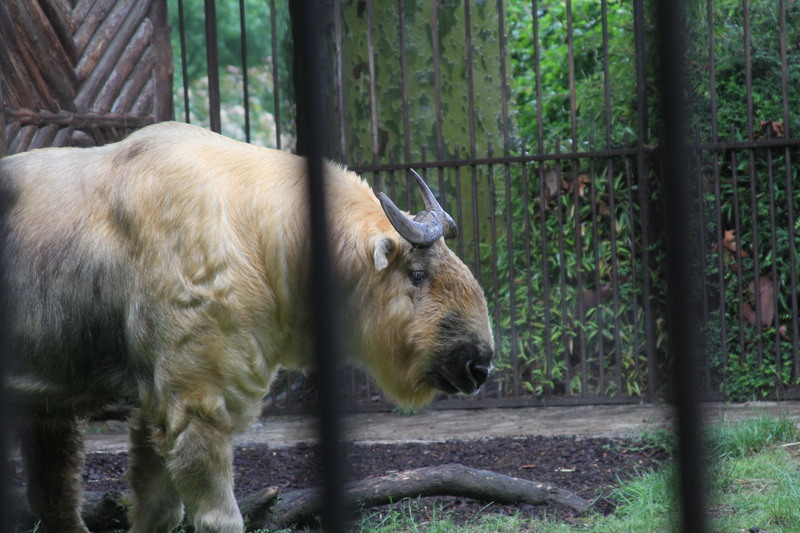 It is also quite cold up in the Himalayas so the takins thick, shaggy coat helps to protect it in the winter time. 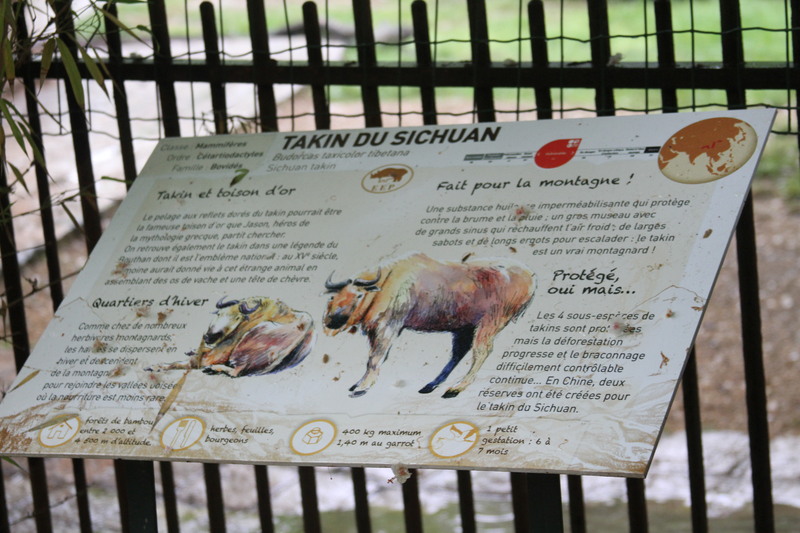 Takins are listed as vulnerable on the IUCN Red List, but are still being hunted for meat up in the Himalayas. Because of their habitat it is difficult to get a proper population estimate on them.